This premium tempered glass is the ultimate protection for your device. 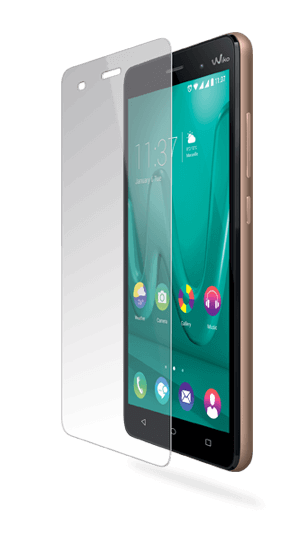 Wiko tempered glass is real glass and is nine times harder than ordinary glass (9H) – it is the strongest material available in the market. It gives you an almost invisible device protection with a thickness of only 0,33mm. This tempered Glass is 150 % more scratch resistant than steel. Very easy to apply to the device : if you need to redo the application, no worries. If the glass breaks, it will break into small pieces that are not sharp due to the anti-shatter construction.